Is there a charge for webmail? This article assumes you've already added an email address to your domain. 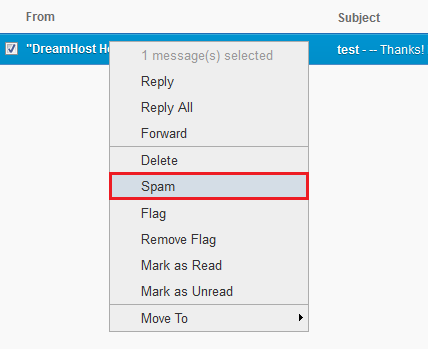 Webmail is automatically configured to connect to the DreamHost mail server. The only credentials you must enter are your email address and password. 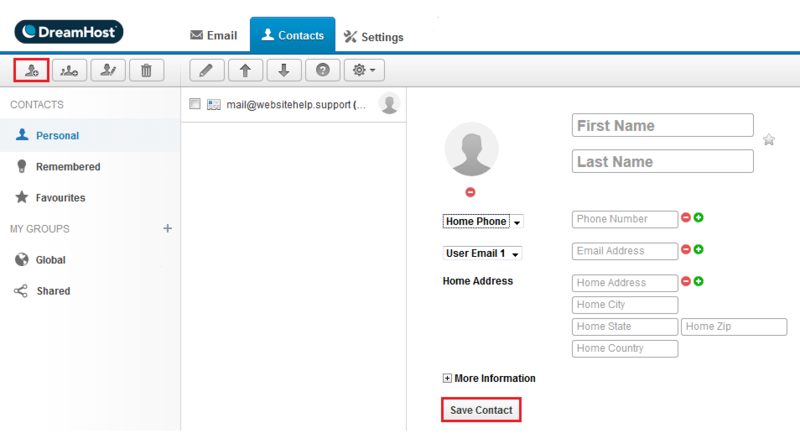 In the past, it was possible to log into webmail at https://atmail.example.com (where example.com is your website). Due to improvements with DreamHost's email infrastructure, you should no longer use this URL to connect. It is highly recommended that you only use https://webmail.dreamhost.com to connect to your webmail account. Webmail, by default, does not automatically check for new mail if you leave it open. To check for new mail manually, click the refresh button near the top left. Log into Webmail at https://webmail.dreamhost.com. Click the Settings tab at the top. Scroll toward the bottom, and then click the dropdown titled 'Timezone'. Click the Save Settings button at the bottom of the page. Webmail is a PHP application and the max attachment size available is 40 MB. When creating an email, add an attachment by clicking the button on the bottom right titled 'Attach from Computer'. DreamHost purges all spam and trash email messages after 15 days. Please make sure you check your spam and trash messages within this time frame. The Spam folder used in Webmail is automatically controlled by the default Vade anti-spam filters for all DreamHost addresses. If you find email is filtered incorrectly or not filtered, you can control this using the Blacklist/Whitelist feature in the panel. Webmail allows you to tag emails so they are filtered into your Spam folder. The following steps explain how to tag an email as Spam. Right click an email in your inbox. From the dropdown, select 'Spam'. When you check the Spam folder, the spam email now appears in it. Doing this updates the Spam signature so it will be caught in the future as well. Another available option is to manually create your own custom filters. This way you can control into which folder spam messages are sent. Click the first gear icon in the top menu bar. Select the 'Select All' option. This highlights all email on the current page in blue. Click the trashcan icon to delete them. It's currently not possible to delete all emails in all folders and all pages. You can only delete within the current folder and the current page. Click the 'New Contact' button on the top left. 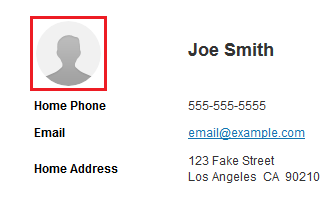 In the right pane, enter the contact details. When finished, click the Save Contact button at the bottom. Make sure the checkbox is 'checked'. Click the trashcan icon to delete it. There is no confirmation message to confirm the deletion. If you click the Trash icon, the contact is immediately deleted. Search your computer for an image, and then save it. Click the 'New Group' icon on the top left. 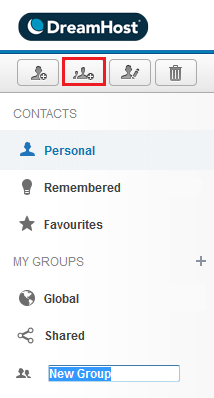 If necessary, drag and drop contacts into this group. 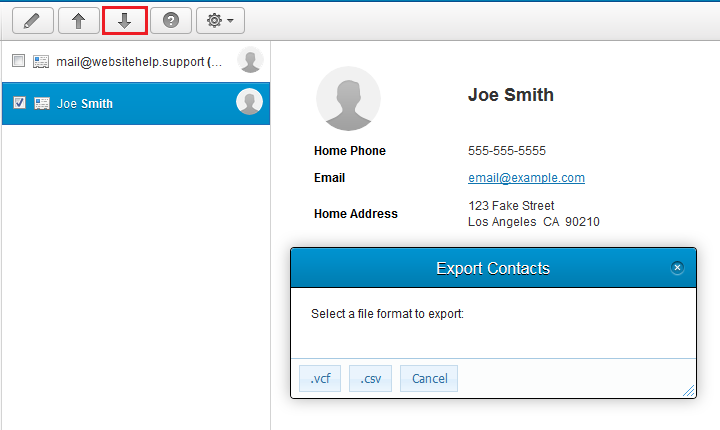 Select the contacts you wish to export. Click the Export icon on the top left. Choose to save as a .vcf or .csv file. Click the import icon on the top left. Select the file to import on your home computer. The contacts are immediately imported. The file must be in .vcf format. No. Webmail is free with any purchased hosting plan. Please note that there is currently no Email-Only hosting plan. You must purchase a website hosting plan to use the free email service. 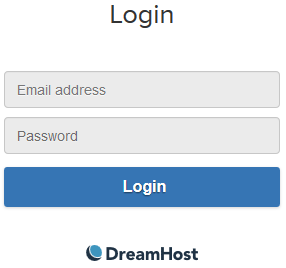 Unfortunately, there is currently not a way to remove the DreamHost logo from webmail. Can I use HTML to embed an image? You can then input the link to the URL of the image. In the top menu bar, click 'Settings'. At the bottom of the settings page you'll see the 'Signature' section. Here you can type in text and upload an image. Are there any alternatives to Webmail? 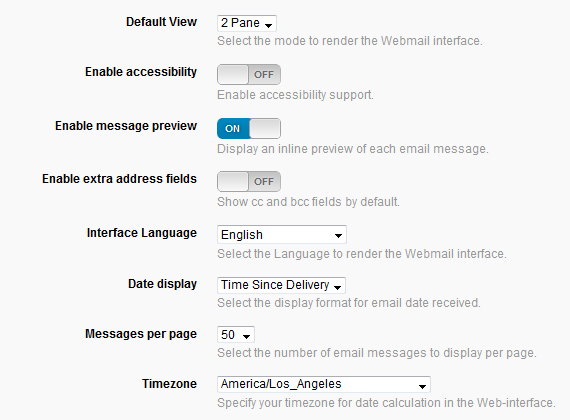 How do I change the timezone in Webmail? Article last updated April 11, 2019 18:01 PST.